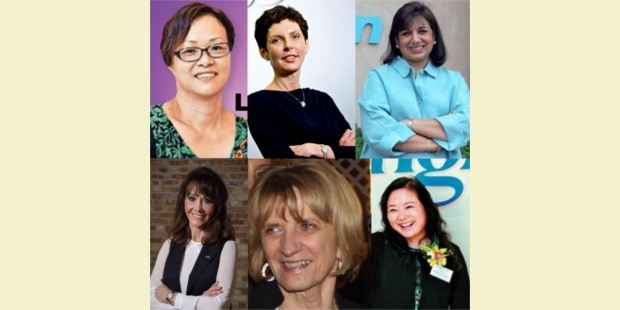 Successful women are becoming a rare breed and rising prominently on the world stage in the business world. These women have worked really hard, faced tougher challenges in life and persevered to rise above others, with their heads held high. They are ruling in multiple fields, from Real Estate to Smartphone Components; from Petrochemical to Biotech; from Online Gambling to Pizza and Sports Team; Roofing to Lens Technology. They have worked hard to make those billions, unlike other billionaires, who have inherited billions through legacy. Kiran Mazumdar-Shaw was born in Bangalore on the 23rd March 1953. She heads Biocon Limited as the Chairperson and Managing Director. Biocon Limited is a Biotechnology Company, based in Bangalore, India. Mazumdar-Shaw is also the Chairperson of Indian Institute of Management, Bangalore. In 2014, Kiran Mazumdar-Shaw was awarded the ‘Othmer Gold Medal’ for her outstanding contributions to the progress of Science and Chemistry. As per Forbes 2015 List, Kiran Mazumdar-Shaw was listed as the 85th most powerful woman in the world. Since then, she has been listed consecutively in Forbes Most Powerful Women in the World. 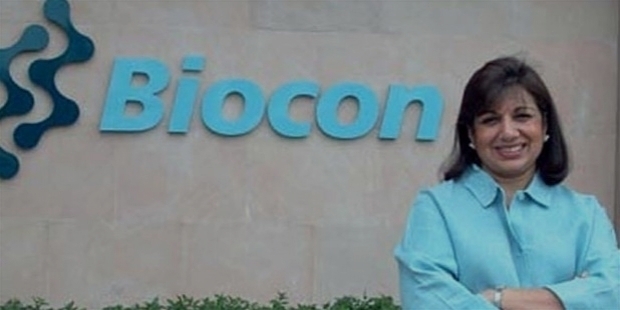 Kiran started Biocon India in 1978 in the garage of her rented house in Bangalore. The seed capital was just of INR. 10,000/-. Biocon India was a joint venture between Biocon Biochemicals Limited, of Cork, Ireland, and Kiran Mazumdar-Shaw. Kiran owned 70% shares and the rest belonged to the parent company. Denise Coates is the Founder and Joint CEO of Bet365, which is one of world’s largest online gambling companies. Her brother John Coates is also part of Bet365. Denise was a mathematical genius as a student. While studying in school, young Denise used to work for her father in his betting shops. Smart with numbers, she trained as an accountant. Denise turned around fortunes of shops, she took over. Having made profit, she used to sell those shops to large bookmaker Coral to make more money. She used her brain to go online by investing in the domain Bet365 and launched the site in 2001. Denise Coates owns 50% of the privately-held Bet365. Zeng Fangqin is the Chairwoman of Lingyi Technology. The Company supplies Smartphone, laptop computers and tablets’ components. The company’s products are used in Huawei and Apple products. Zeng started her career in the Silicon Valley. 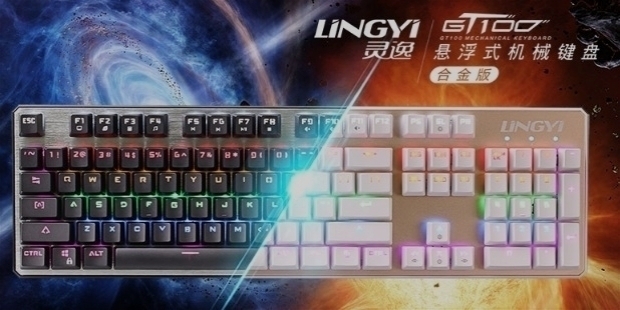 She returned to China to establish Lingyi Technology. Marian was born on the 7th of January 1933. Way back in 1959, Marian and Mark Ilitch co-founded Little Caesars Pizza. After the initial success of their Pizza, they expanded it as a franchise. Marian Ilitch is popularly known as Mrs. I. When their pizza chain was making billions of dollars, they expanded further and invested in restaurants, entertainment, sports and gaming. Marian Bayoff Ilitch owns the Detroit Red Wings and MotorCity Casino Hotel. After Mike's demise, Detroit Tigers are now in a family trust. In 2005, Marian realized an opportunity to purchase total interest in the casino resort complex from various minor stakeholders and Mandalay Resort Group. Marian Ilitch’s MotorCity Casino is one of the largest independently owned casino enterprises in the United States. In fact, in all likely, it happens to be the largest woman-owned casino in the United States of America. Marian Ilitch acted as the Vice Chairwoman and Secretary-Treasurer of all of her family's various holdings until 1999. Ilitch Holdings, Inc. was formed as the parent company for her family's widespread interests. 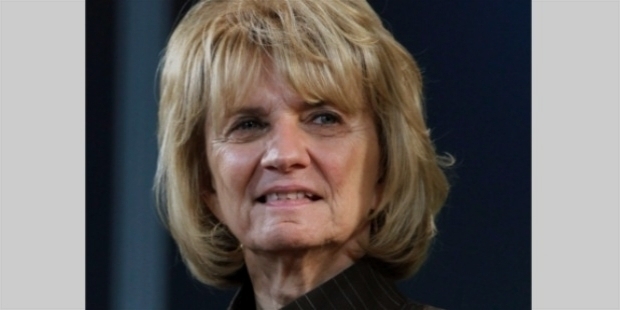 Mike was the Chairman of Ilitch Holdings, Inc. After the demise of her husband, Marian took over as the Chairwoman. Little Caesars Pizza, Blue Line Foodservice Distribution, Little Caesars Pizza Kit Fundraising Program, Champion Foods, Detroit Red Wings, Detroit Tigers, Olympia Entertainment, Olympia Development and various food service and entertainment venues within these businesses are owned by Ilitch Holdings, Inc. 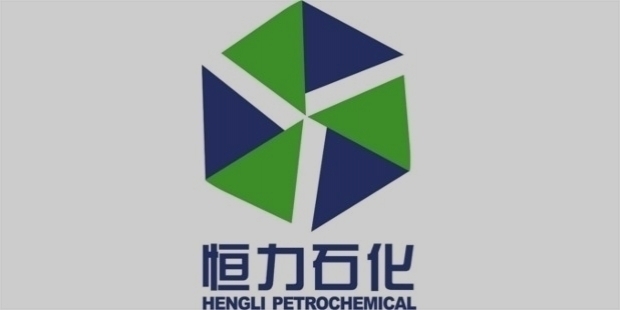 Fan Hongwei is the Chairwoman of Hengli Petrochemical, a chemical fiber supplier. Fan established Hengli Petrochemical in 2002. The manufacturing sites were located in Suzhou, Suqian and Nantong cities in China. Fan Hongwei’s husband Chen Jianhua is the Chairman of Hengli’s Holding Company. Yeung Kin-man established Biel Crystal Manufactory. He is also the Chief Executive of the company. Lam Wai Ying is Yeung Kin-man’s wife. 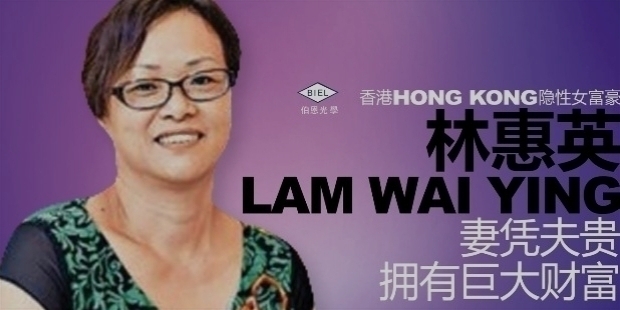 While her husband holds 51% of the Company, Chairman Lam Wai Ying holds the other 49%. The company supplies Smartphone touch screens to Apple. 35 years ago, visionary Diane Hendricks co-founded ABC Supply with Ken Hendricks, her late husband, in Beloit, Wisconsin. ABC Supply is one of the largest wholesale distributors of roofing, siding and windows in America. In 2010, Diane Hendricks made news with two of the biggest acquisitions in its history, buying rival Bradco. Later in 2016, she acquired building materials distributor L&W Supply. Diane Hendricks was born and raised in Wisconsin. Her parents were dairy farmers. In 1965, she graduated from Osseo-Fairchild High School. After Ken’s demise in 2007, she has run the business with great success. She heads the Company as the Chairwoman. With 700 locations, ABC Supply has expanded its business offering interior products, like drywall and steel framing. Fu Wah International Group is one of the largest real estate developers, with its headquarters in Beijing. 77-year-old Chan Laiwa heads the Company. The firm is renowned for Jinbao Street development with Jinbao Tower, the Regent Building and the Beijing Hong Kong Jockey Club. The firm has been expanding its business overseas in New Zealand and Australia and invested in hotels. Chan Laiwa is the Curator of China Red Sandalwood Museum. Zhou Qunfei was born in a poor soldier’s family, in 1970. She has had an eventful life, ever since her early childhood. Zhou has developed great strength to make her strong and tough in facing life. She is the richest self-made women in Hong Kong. While working in Shenzhen, Zhou took part-time courses at the University. A bright student, she passed the required examinations to be certified for accounting, computer operations, customs processing and got her license for driving commercial vehicles. The only regret she has is not to learn English. At the age of 22, Zhou Qunfei established her own company in 1993, with a mere savings of HK$20,000 (USD$3,000). Her cousin encouraged her to start on her own business. The company commenced their operation from a three bedroom apartment. Her brother, sister, their spouses and two cousins were the initial workforce. In 2001, Zhou’s Lens Technology won the contract to make mobile phone screens for the Chinese electronics giant TCL Corporation. In the last 17 years, Zhou Qunfei has taken Lens Technology to greater heights, earning billions of dollars. 75% of her revenues alone come from Apple and Samsung. Apple Watch uses her company's glass and sapphire crystal screens. Lens Technology is located in 32 different factory locations in China. She is indeed an inspiration for billions of Chinese and citizen of the world. Zhou Qunfei has been married twice and divorced once. She has a daughter from her first marriage. She remarried in 2008. Zhou Qunfei and Zheng Junlong have a son. The family lives in a $27 million estate in Hong Kong. 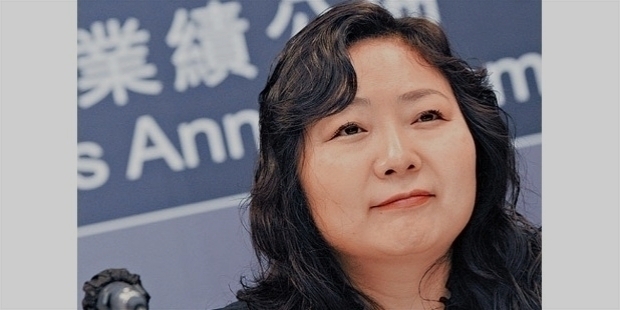 Zhou Qunfei was the richest self-made women billionaire in the world. However, as per the latest Forbes standing, dated 13th May 2018, she has been dethroned by Wu Yajun & family. Wu Yajun & family have taken over the No. 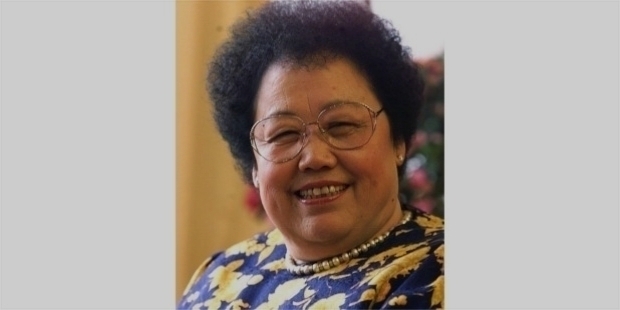 1 spot of ‘Self-made Richest Women Billionaires of the World’ dethroning the earlier numero uno Zhou Qunfei. Wu Yujan’s amazing success story is indeed extraordinary. She was born in an ordinary Chinese family in 1964, in Chongqing. Young Wu completed her graduation from the Department of Navigation Engineering of the Northwestern Polytechnical University in 1984. After her graduation, Wu worked at the Qianwei Meter Factory till 1988. She switched her field to become a journalist. By 1993, she has rose to the Editor’s post at the China Shirong News Agency. A sharp and intelligent go-getter, Wu built up a strong network in the government and business world, during her journalism career. Wu married business tycoon Cai Kui. The couple established Chongqing Zhongjianke Real Estate Co. Ltd., in 1995. The Company was renamed as Longfor Properties later. With an initial 10 million Yuan investment, the firm progressed tremendously. Longfor Properties made its strong presence in Chengdu, Shanghai, Beijing, Dalian and Changzhou cities. An ambitious woman, in 2007, Wu Yajun became alumni member of the Cheung Kong Graduate School of Business. In 2009, she took the firm Public on the Hong Kong Stock Exchange. 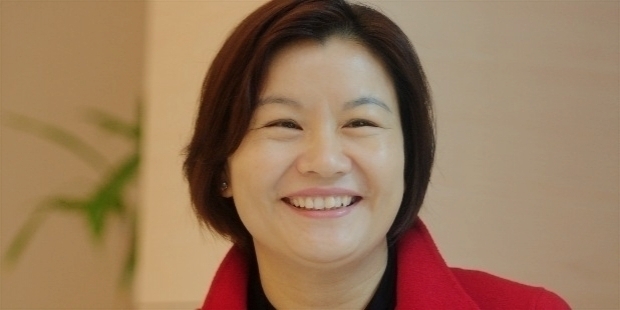 In 2013, Wu Capital was established to manage her wealth. Wu Capital expanded its wings by investing in Uber and Evernote and other tech companies. In 2012, Wu and Cai were divorced. Wu holds 45% of the stake, while Cai Ken holds 30%.